This amusement park is featured by several news papers in Japan, to consider the reuse of nuclear reactor. Actually the location is not so far from the Netherlands where we live, we can visit there once. Wunderland Kalkar is an amusement park in North Rhine-Westphalia, Germany, just north ofDüsseldorf. It is built on the former site of SNR-300, a nuclear power plant that never went online because of construction problems and protests. The park was constructed by Dutch entrepreneuer Hennie van der Most, who purchased the site for a rumored price of USD$3 billion. 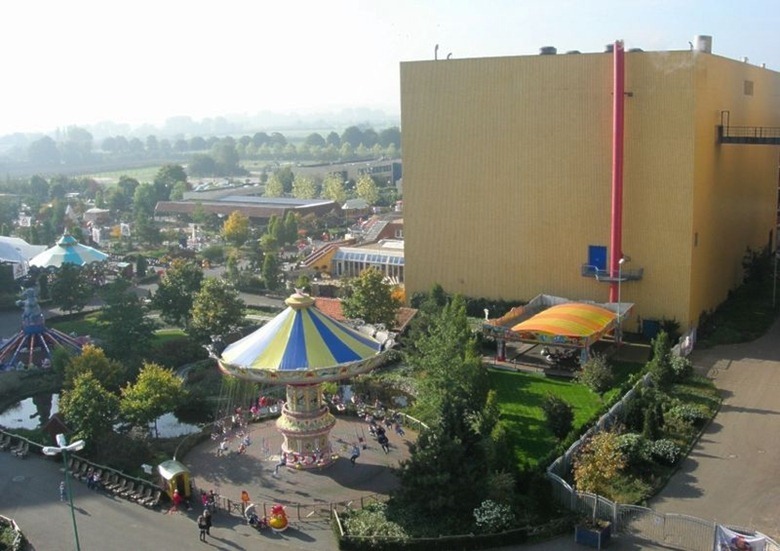 Wunderland Kalkar receives around 600,000 visitors each year. 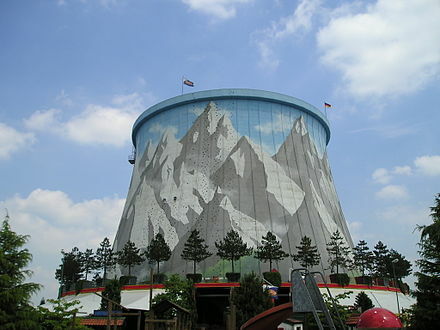 Many of the facilities constructed for the plant have been integrated into the park and its attractions, including the cooling tower, which features a swing ride and a climbing wall. The park also features four restaurants, eight bars, and six hotels. December 3, 2013 in Fukushima, Politics. I have visited there long time ago, and at that time I could still go into the nuclear power plant. I made also a video of its inside. It was very frightening experience to look at the huge machines, all rooms and corridors like a labyrinth, and thick doors. Actually my Dutch partner protested against the use of the nuclear power plant. I found it great that many German and Dutch were against.